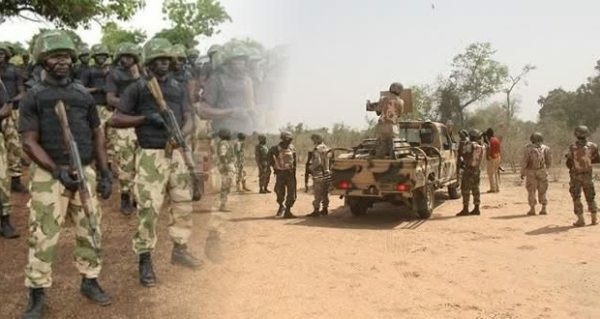 The Nigerian Army yesterday said troops of the newly formed Nigerian Army Special Forces Command (NASFC) Operation Lafiya Dole, dislodged terrorists that attacked troop’s location in Baga, Borno State. A statement from army spokesman, Brigadier General Sani Usman said the 707 Special Forces Brigade dealt the decisive blow that neutralized several terrorists along that axis. “Unfortunately, in the process, the Special Forces lost one officer and a soldier, while five other soldiers sustained injuries. “The remains of the two fallen heroes and the wounded have since been evacuated. The injured soldiers are in stable condition and receiving medical attention. “The troops are now busy consolidating and clearing vestiges of the terrorists within the northern Borno State axis with special emphasis on the Lake Chad region. “The Special Forces attained these great strides in close operational synergy with Air Task Force of the Nigerian Air Force who gave Intelligence and closes air support by bombarding the ISWAP terrorists. “The outstanding and daredevil exploits of the NAF’s pilots gave more courage and firepower to the troops. Similarly, the Nigerian Navy Special Forces were not left out of these gallant efforts,” the Army statement said.